Mood: Starting with the everyday: places, people, feelings that reflect our most authentic personality. 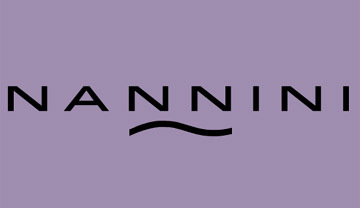 This is the intimate dimension that inspires the NANNINI Spring Summer 2011 collection, creating easy-to-wear bags, accessories and sandals: indispensable details to colour your world with novel drive and set off enthusiastically in quest of the new. Forms: The inspiration is design. Each accessory defines the point of balance between aesthetics and functionality: clean lines that reflect a purer form of style, where the essential plays the lead role and practicality is the reflection of the everyday. Each model declines the new NANNINI mood in the proposal closest to the taste of every woman. Materials: For the coming Spring Summer 2011 season NANNINI research shifts towards fluid materials that confidently accompany the movements of the body. The players are laminated, nappa-finish, washed, pierced and two-tone calfskins. Textiles too are stars of the summer season, ranging from natural canvases to patterned and printed fabrics. Colour: The NANNINI palette showcases muted, powdery colour, never exaggerated, ranging from the soft tones of olive, mauve and natural to the more decisive shades of pink, deep blue and paprika.